drivingandlife: IF THE MOUNTAIN WON'T COME TO ......? IF THE MOUNTAIN WON'T COME TO ......? Automotive retailing faces a big challenge in this connected world, because potential buyers are shying away from showrooms, in favor of online shopping, and only the hip will survive. 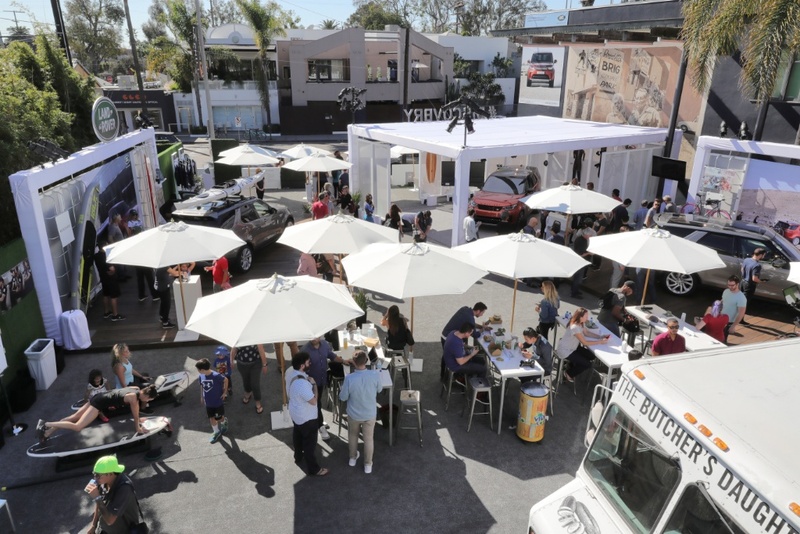 Jaguar Land Rover North America has just hosted a new-look ‘Pop-Up’ showroom, which proved that it helps if you put the product in front of your potential buyers. 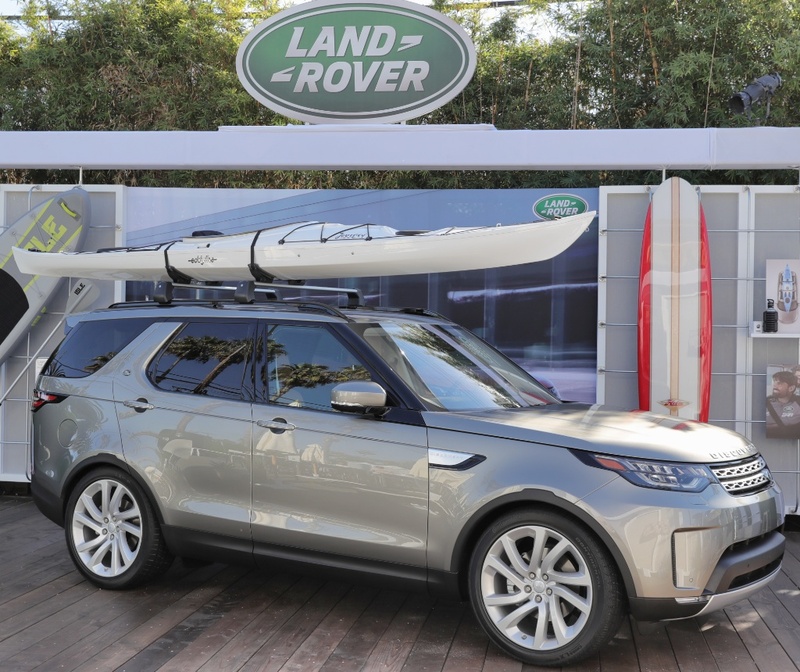 The scene is Venice Beach just outside Los Angeles, and the ‘Pop-Up’ occupied vacant land right near the beach, featuring the new Land Rover Discovery – plus a whole bunch of leisure equipment, get-fit gear and a couple of big names. 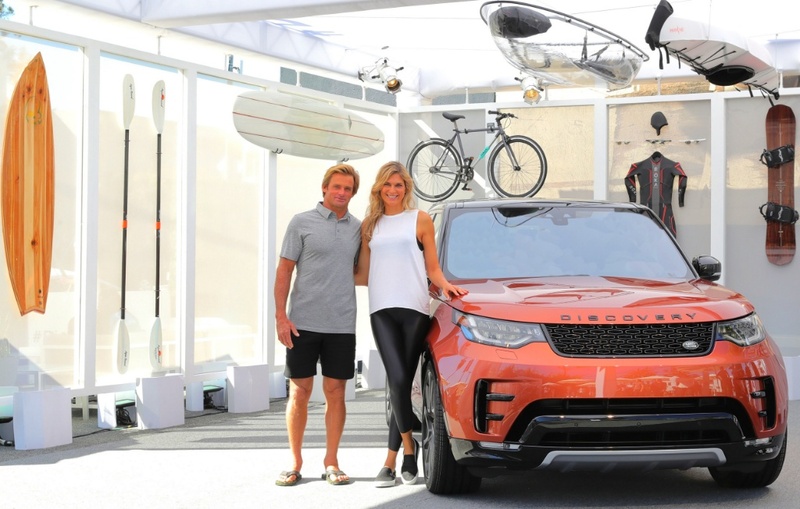 Big Wave surfer Laird Hamilton, and his wife, pro-volleyball player Gabby Reece, were the Land Rover ambassadors who welcomed more than 1200 people over a single weekend to view the new Land Rover Discovery. The crowds inspecting the new Discovery had a variety of cuisines to choose from, from a number of specialist food trucks, and the event proved that if potential buyers won’t come to the showroom, you have to take the car into the centre of the action. This is an idea which will resonate not only with the Venice Beach crowd, but also in hip cities like New York, San Francisco, Sydney and London. Traditional dealerships will wonder where their buyers went, if they don’t embrace innovative paradigms for finding new customers. PORSCHE SALE - FIVE MILL FOR 550! NISSAN GT-R - FURIOUSLY FAST? YESSIR! VIJAY MALLYA - FALLING IDLE? OR FALLEN IDOL? NO TO SNOW! GIVE ME FUN IN THE SUN! WHEN COMING 4TH, IS WINNING!